SAN DIEGO – Aug. 27, 2014 – Two U.S. Air Force and U.S. Navy unmanned aircraft systems (UAS) in Northrop Grumman Corporation's (NYSE:NOC) high altitude long endurance (HALE) series safely surpassed 100,000 combat/operational support hours. The Air Force Global Hawk fleet logged more than 88 percent of the global intelligence surveillance and reconnaissance (ISR) information-gathering and airborne communications missions. The Navy's Broad Area Maritime Surveillance Demonstrator flew the remaining hours. Combat/operational support hours are tallied separate from noncombat support hours – the UAS surpassed 100,000 total hours in September 2013. 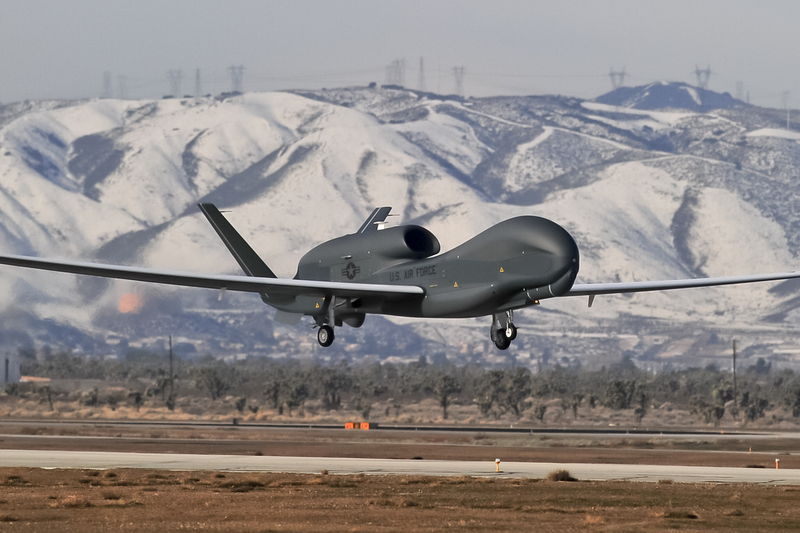 "Global Hawk has continuously and successfully supported overseas contingency operations since its first deployment to Afghanistan after the Sept. 11, 2001, attacks," said Jim Culmo, vice president, HALE Enterprise, Northrop Grumman. "Operating 11 miles above danger zones, Global Hawk is a strategic airborne asset with unprecedented endurance, range and persistence providing decision makers near real-time information from around the world."